AUTO mode - For your convenience: Unit selects operation mode during startup according to temperature setting and room temperature. HEAT mode - To enjoy warm air: Unit takes a while to warm up. The power indicator blinks during this operation. COOL mode - To enjoy cool air: Use curtains to screen off sunlight and outdoor heat to reduce power consumption during cool mode. DRY mode - To dehumidify the environment: Unit operates at low fan speed to give a gentle cooling operation. 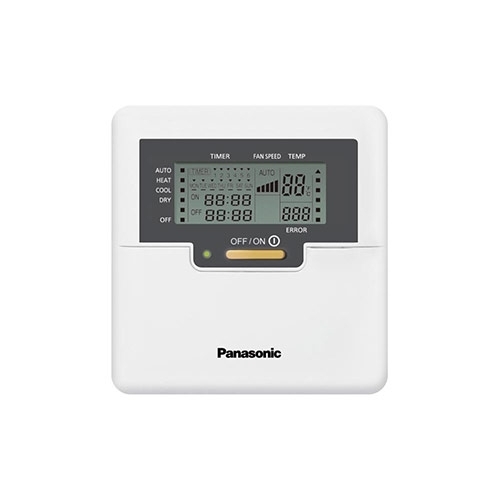 For AUTO, the indoor fan speed is automatically adjusted according to the operation mode. Selection range: 16°C ~ 30°C. When wired remote control is installed ECONAVI, AUTO COMFORT, MILD DRY operation setting from wireless remote control might be disabled. But POWERFUL, QUIET, PATROL, e-ion operation setting could be operate according to wireless remote control. When wired remote control is in operation, the timer setting from wireless remote control will be cancelled. Spune-ti parerea despre Telecomanda cu fir de perete.